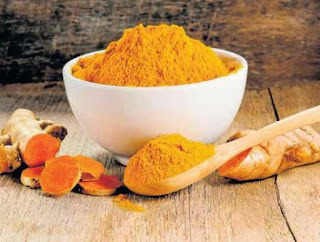 Odisha's Kandhamal Haldi (Turmeric) will soon get a Geographical Indications (GI) tag. It is a few steps away from receiving this tag. Kandhamal Haldi is famous for its healing properties. It is a main cash crop of the tribal people in Kandhamal. Apart from domestic use, it is also used for cosmetic and medicinal purposes. GI tag is a name or sign used on certain products which correspond to a specific geographical location or origin. It is used for agricultural, natural and manufactured goods having a special quality and established reputation. The goods and products having such tag are recognised for their origin, quality and reputation and gives it the required edge in the global market. It also ensures that none can use their name, giving them exclusivity. Violation of GI tags is a punishable offence under law. GI is covered as an element of intellectual property rights (IPRs) under the Paris Convention for Protection of Industrial Property. At the international level, GI is governed by WTO's Agreement on Trade-Related Aspects of Intellectual Property Rights (TRIPS). In India, GI tag Geographical Indications of Goods (Registration and Protection Act), 1999 governs it. This Act is administered by Controller General of Patents, Designs and Trade Marks, who is also the Registrar of Geographical Indications and is based in Chennai, Tamil Nadu. Q. Which of Odisha's product will soon get a Geographical Indications (GI) tag?